By clicking on “Visit Profiles” button, Dux-Soup will automatically run through LinkedIn profiles and open up a LinkedIn profiles one at a time. This is exactly the same process as if you would manually click on a person’s LinkedIn profile and view it. If you choose to visit profiles, the profile owner will also get notified that you have visited their profile, which can be a good thing if you want to be on their radar before you send them a connection request message. 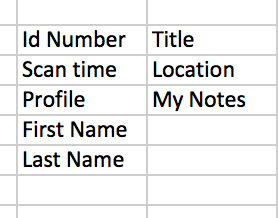 Scanning profiles means that Dux-Soup will scan through a number of LinkedIn accounts very quickly and extract information from these profiles without actually viewing them. This will not be classed by LinkedIn as visiting a profile. No users will be aware that you have extracted information about their profile. The aim of using Dux-Soup is to build your network, grow your connections and generate leads, but an important question to consider is which technique is the most efficient for you: Scanning or Visiting? 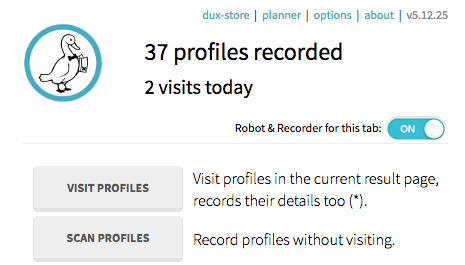 In addition, when visiting, Dux-Soup is able to extract the profile’s employment history, education and skills list. To be able to select the best option between visit and scan, you need to be clear what is you are trying you achieve. 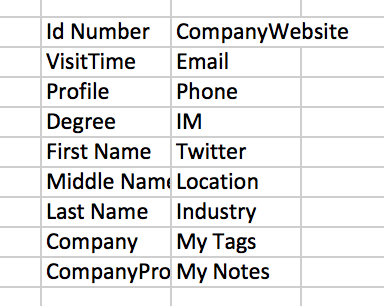 (1) Use visiting profiles to warm up your cold leads, and to download detailed profile summaries.